Let's Ski and Travel the world on non-ski trips! 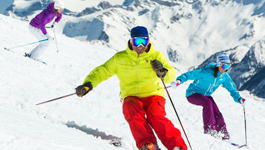 Join the SWFL Ski & Travel Club on one of our upcoming trips. The cost of the trip includes everything from airfare to meals and transportation, so you can focus on having fun! Join the SWFL Ski & Travel Club on one of our upcoming trips. The cost of the trip includes everything from airfare to meals and transportation, so you can focus on having fun! When you take advantage of everything your club has to offer, you'll create memories to last a lifetime. Join us on our exciting upcoming non-ski events, monthly Rendezvous... click below to find out what's happening. Enjoy activities all year 'round with your club membership to the Naples Ski Club NOW SWFL Ski & Travel Club. 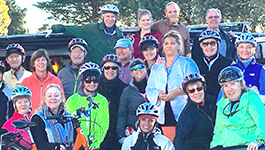 Every member of our sport club gets to join our ski trips, hiking and biking adventures, and fun social events. It's a great way to meet other active people. Where do Floridians ski? Anywhere they want to. The Naples Ski Club NOW SWFL Ski & Travel Club can make this happen for you! 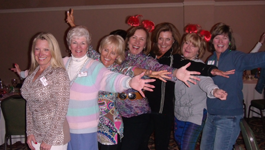 We're an active social club, based in Naples and serving all of Southwest Florida; from Marco Island to Bonita Springs, Estero, Ft. Myers, and beyond! If you're interested in skiing, snowboarding, and group travel, come join us at one of our social events to meet our members and learn more about us. Because we're a part of the Florida Ski Council, with 15 member clubs, you'll also have the opportunity to meet many other skiers from Florida on our FSC trips. We're not just about skiing. When we're not hitting the slopes, we keep busy kayaking, boating, golfing, biking, bowling, partying, and doing all we can to stay active and have fun. New members are always welcome at our club.